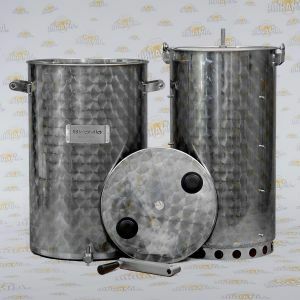 Lauter bins made of stainless steel, with grain filter and mixer, essential for all grain brewing. 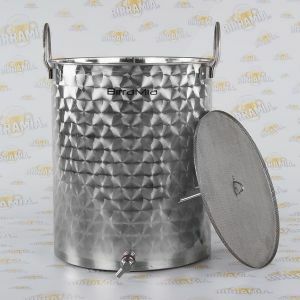 The all grain lauter bins by Birramia are completely made in Italy, following our specifications. Our mash tun is provided of a device which reduce the likelihood of burning flours on the bottom while brewing all grain beer. 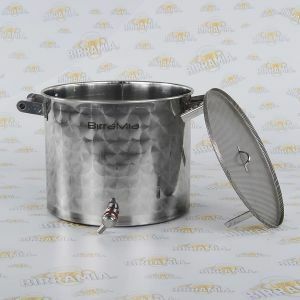 Those brewers that use non-hopped malt extracts can use the false bottom to filter hop without using other equipment, essential for all home-brewed beer.